This year, the country’s most anticipated auction event – The Well-Appointed Life – features Salcedo Auction’s pioneering Rare Automobile Auction presented by the country’s fastest-growing oil company, Phoenix Petroleum. On September 23, four rare automobiles—the 1977 Porsche 911 Targa, the 1965 Mini Cooper Paul Smith, the BMW 1965 R69S, and the BMW 1969 R50—will be up for bidding at the Rigodon Ballroom of The Peninsula Manila hotel. “We are excited to be part of The Well-Appointed Life auction as this provides Phoenix Petroleum an opportunity to showcase our high-quality fuel with Phoenix PULSE Technology, perfect for rare and valuable automobiles,” Phoenix Petroleum Chief Operating Officer Henry Albert Fadullon said. Phoenix Petroleum will fuel to life the rare vintage car collectibles as an official fuel partner of the event. Rare Automobile Auction is a segment under The Well-Appointed Life Auction event of Salcedo auction house. Other sale categories focus on Important Philippine Art, Connoisseur Collection, and Fine Jewelry & Timepieces. Some of the notable pieces featured in The Well-Appointed Life Auction are Objects on Red by Arturo Luz, Grove of Trees by Felix Resurreccion Hidalgo, Fire Lake by Jose Joya, a Rolex Comex, a Rolex Cosmograph, a Patek Philippe 5327 G Perpetual Calendar, and a Patek Philippe 5496P Perpetual Calendar with Retrograde Date Hand. Phoenix Petroleum is the leading independent oil company in the Philippines established in 2002. The company was publicly listed on the Philippine Stock Exchange in July 2007 and has since grown to be a national brand from its humble beginnings in Davao. In February this year, Phoenix Petroleum launched Phoenix PULSE Technology—a fuel additive with advanced cleaning and protection properties for enhanced power and acceleration—in a bid to offer upgraded fuels at the best value and provide better driving experience to Filipino motorists nationwide. Salcedo Auctions, the group behind The Well-Appointed Life auction, is the premier auction house that specializes in the sale of fine art, jewelry, decorative arts, and collectible accessories by leading international local artists and artisans. 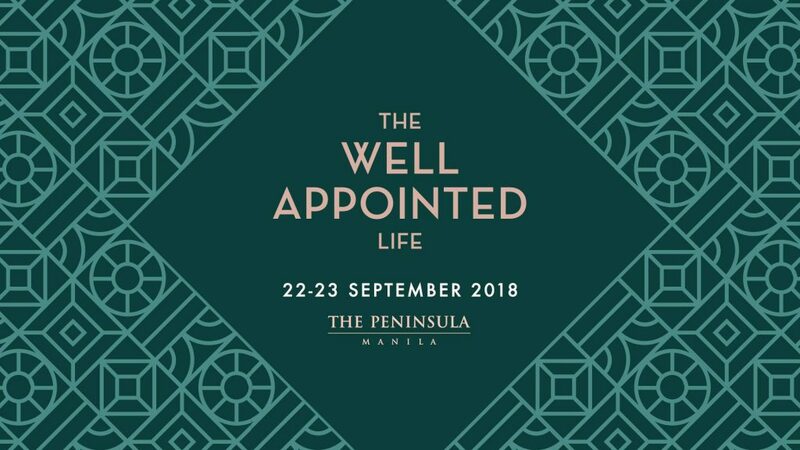 Make sure not to miss the auction happening on September 22-23, 2018 at Peninsula Manila in Makati City.